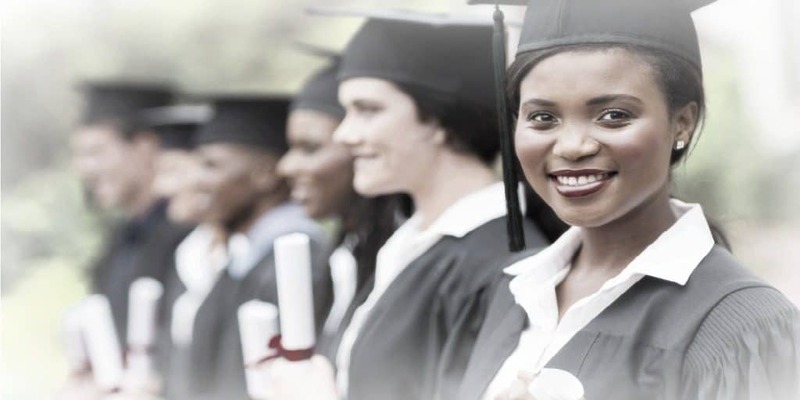 Home » Save Money » Is Graduating From College In Three Years Good To Do? It’s no surprise people are looking at alternatives to traditional four-year undergraduate degree programs. One popular option is graduating from college in three years to avoid significant costs of a fourth year. According to the College Board, average public in-state tuition runs about $10,000 per year, and average private college tuition costs are more than $32,000 per year. Rising college costs leave many students and their parents scrambling to find ways to save money. And keep in mind – those are just tuition costs. If you add in room and board, travel, and other fees, you can easily tack on another $10,000 – $15,000 a year to what it costs to earn a degree. With over 44 million Americans having an average student loan debt over $37,000 – options like living at home, going to community college, and trying to graduate early all make sense. While avoiding room and board costs and earning an associate’s degree before transferring are almost guaranteed to save you money, is graduating early from college possible for most students? And is it a smart thing to do? Accelerating the completion of a degree program isn’t a new idea. For more than 60 years, students have been able to earn college credits in high school through Advanced Placement (AP) courses managed by the College Board. Students can also receive credit through the College Board’s CLEP program and exams. School districts also partner with local colleges and universities – and have for decades – to bring advanced coursework to high school students. In some models, the teaching of college classes is at the high school. For others, students attend high school part of the day and a local college for the rest of their coursework. Online college courses are also a popular option for high school students. But passing AP or CLEP exams and passing college courses in high school doesn’t necessarily mean a student can graduate with a bachelor’s degree before their peers. All colleges and degree programs have rules for what courses count. And standards for the number of transferring credits accepted into particular programs. Because students also drop classes or change majors, it may not be enough to let them complete a degree program early. Even though they have some college credits “banked”. There was a push about a decade ago for more universities to offer three-year college degree programs to their students. European and some Canadian universities already have standard three-year undergraduate programs. Some U.S. colleges who started three-year programs reported students weren’t interested in finishing early, however. And many students stayed for four years even when enrolled in the accelerated programs. Today, many colleges continue to offer three-year programs, though. If they don’t, they at least recognize some students will seek the option. In such cases, advisors work to create a plan supporting early degree completion. 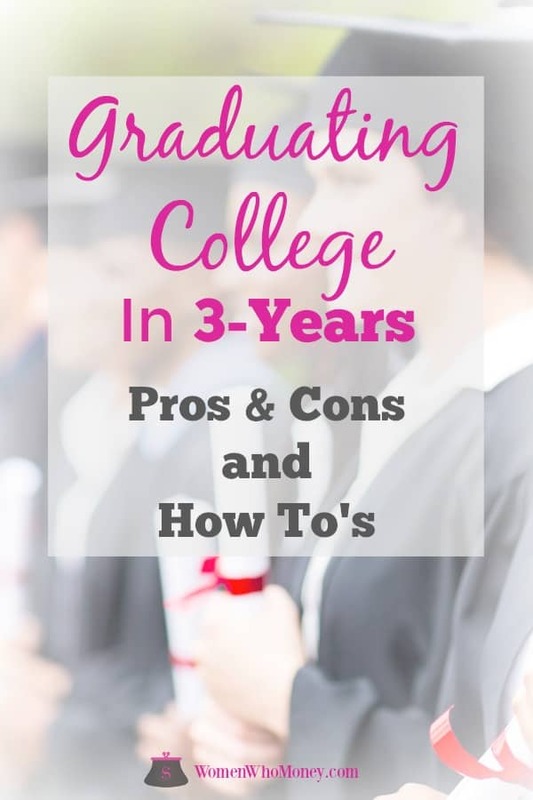 Finishing college in even three and a half years is another popular option when completing a degree in three isn’t possible. Saving between $10,000 and $45,000 or more for attending one less year of college. College classes taught by high school teachers may offer students double or more hours of instruction when compared to a typical college class. High school teachers may also be available for extra support on a daily basis rather than during a few “office hours” each week. College classes don’t all need to be taken in a student’s senior year in high school. Some 9th, 10th and 11th graders take AP or community college classes and exams. Students can take summer and winter (January) courses to earn extra credits rather than overloading semesters during their three years attending college. If a student changes majors, they may still finish early or on time because of the credits they transferred in when starting college. This helps students avoid being in an undergraduate program for five or even six years should they alter their major along the way. Students can start graduate programs sooner or enter the workforce early to begin earning money. Some students choose to take such a rigorous high school course load – including multiple college courses – ending up with high levels of stress. They may also perform poorly in classes, and their grades suffer, affecting their Grade Point Average (GPA) and class rank. Other students may cram in coursework each semester in college to finish early causing the same stress and performance issues. College credit earned during high school isn’t accepted at all colleges, and some colleges only accept specific courses (depending on the student’s major) or grades. Starting college as a sophomore instead of as a freshman puts students in more difficult classes. Since these students are already adjusting to being in a new setting, this may negatively impact their GPA if they struggle in any courses. If a student has a scholarship dependent on GPA, the stress compounds and financial hardship may result. It is sometimes challenging to fit all required classes into a typical four-year program of study. By cutting out a year of study, younger students may get closed out of courses because they often register later than their older peers. Students who graduate early may not be able to participate in internships or study abroad programs. They will also be graduating a year before their cohort class and may miss out on social experiences and traditions with their peers. Many may also need to cut out extra-curricular activities they enjoy. Starting in the workforce or graduate school a year before what’s typical, may be challenging depending on the position taken or the program enrolled in. Now that you know how students can earn credits in high school, use the three-year degree option or the planning it takes to finish early, as well as the benefits and drawbacks to accelerating graduation – how do you decide on doing it or not? Has a college major or career path already been decided? If not, take time to research fields of interest and specific careers in those fields. Many students change majors – some, more than once – but this can definitely impact the ability to finish college early. Write out a list of goals. If “finishing early” is the goal – what’s the why? Is it just about the money? Remember, there are drawbacks to rushing through a degree. Taking summer classes and overloading also costs money. Earning credits in high school may be a lot cheaper, but there is still usually some cost involved. Make sure to keep all of the other drawbacks discussed above in mind too. What kind of student are you? Organized, efficient, and able to deal with stress? If you end up dropping courses or get bad grades – how will that impact the plan to finish early? Will it prevent you from getting into graduate school? What will a future employer think of your GPA? What are you willing to give up? If you’ve looked forward to the college experience or are entering a program where internships and study abroad will be a benefit in the future – are you willing to skip that to finish early? You may squeeze one of those in – but what about volunteering, joining a fraternity or sorority, athletics, campus clubs, or even a part-time job for spending money? Only you can put a value on all of the extras that come with undergraduate degree life. In high school, choose college-level courses in a variety of subjects. If you love math but don’t care for social studies, don’t load up on advanced math classes. Many colleges will limit the credits you can transfer in your major area anyway. And earning credits in different areas helps fulfill general education course requirements that are part of many degree programs. Call your local community college and see if they offer any type of financial assistance for “early college” starters. Some states provide grants to help students take reduced-cost college classes while still in high school. This can be in addition to the college courses at reduced rates already offered in a students’ high school. Download a program of study in a field of interest from a college website. This will provide a better idea of what a four-year undergraduate course plan looks like. If majoring in science or art, remember to allow extra time for lab and studio work too. If you didn’t think about graduating early until after high school, it’s not too late. But you will likely need to overload semesters. And you’ll likely need summer and winter break courses in addition to the usual plan of study. Find an advisor who is supportive of a three-year plan. They can help you decide what courses to register for each semester. Since some programs have strict prerequisites to consider a good advisor aids in mapping out a plan. Is Graduating From College in Three Years a Good Thing to Do? Whether you actually graduate from college early or not, getting a head start and earning at least some college credits in high school makes sense for many students. Even with no plan to graduate early, transferring credits in as a freshman may provide options if there’s ever a need to drop a class or change your program of study. It takes strict focus to finish early at most colleges unless enrolling in a specific three-year degree program and following the plan exactly. To be proactive, look at different college websites to see what AP, IB (International Baccalaureate), CLEP, and community college credits they allow for transfer. Here is an example of how you can check transfer credits from one institution to another. And this page shows where you can find information about what exam credits are allowed at this particular state college. Most colleges have this information readily available to you – when you know to look for it! Finally, remember, even with a strong desire to graduate early or after starting a three-year degree program – finishing college in three years isn’t mandatory. Changing minds about majors or encountering other difficulties and reverting to a “normal” fourth year may be all that’s needed to graduate on time with peers. My son Jack has just finished his 1st year of college and is classified as a junior, thanks to Dual and AP classes. We’re are hoping he can get everything done in the next 2 years. One trend I have noticed is that it really makes a difference which college and major you choose. Top tier colleges like UVA are not as generous about accepting transfer credit and AP credit. When they do accept it, it tends to be for electives, and doesn’t really help students graduate early. 3 years seems more attainable at the mid and lower tier colleges, like JMU, Radford, and Roanoke College. All students should be shoot for graduating with their undergraduate degree in 4-years at a minimum. From there I think it’s best to know your student and understand how much they want to take on in high school. Consider all the other things they are involved in sports, clubs, PT work etc. My son and daughter were able to enter their freshman year of college with over 15 credits under their belts from HS. The immediate reaction to the title of this article was “of course its smart to graduate in 3 vs 4 years! faster into the job market and less tuition!” But you are right, there’s consideration for loaded coursework, since most colleges charge by the credit hour. I actually graduated from college a year earlier than my track was set as- by a combination of AP credits (found colleges that accepted them) and summer school, and full course loads during the regular semesters. While it may be argued that 3 vs 4 years for course load should be accounted for, and the cost of summer school should be accounted for, the costs for housing and food (if they don’t live at home, which I didn’t) also should be accounted for. As for the consideration of a drop in GPA due to stress or overburden, in college you can often take some of the harder courses during summer. Since the number of hours you can take in summer or winter courses is lower, you normally can just be enrolled in 1 or 2 courses. For example, I took thermal dynamics and physics (in separate summer sessions- and physics I took when I was home, so didn’t have to account for housing, and we got in-state tuition, and my actual University agreed to take the credits!). I also had breaks- I enrolled in a full time work program where I got paid as an engineer to do engineering work every other semester. So in reality, it took me a calendar 4 years to graduate, but only 3 years of tuition was being paid- the original program was to take 5 years total. On top of that, I was gaining full time paid engineering experience- whoo!